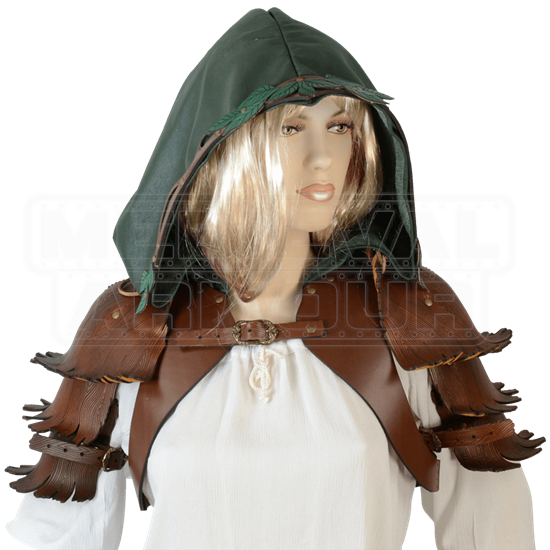 Accentuate your combat attire with the arborescent mystique of the Hooded Woodland Bolero Jacket with Pauldrons, which features pauldrons resembling tree bark and an exquisite green leather hood with ornate nature themed adornments. 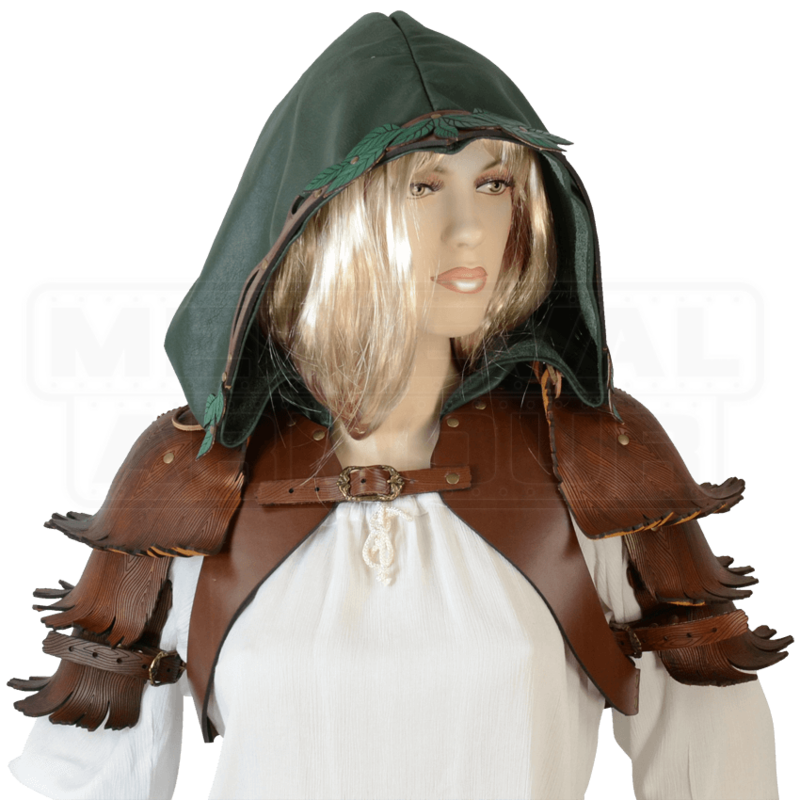 This full hood is crafted from supple forest green garment leather with brown leather trim around the opening designed to look like a branch. Accenting this trim are dark green leather leaves which enhance the overall natural woodland appeal. The pauldrons included in this design feature flared edges and are richly engraved with a wood grain pattern. This intricate design matches the back of the bolero jacket amplifying the forest style. This jacket is crafted from 8/9 ounce leather and the pauldrons from 7/8 leather, both being detailed with antique brass hardware. Display your harmonious relationship with nature with the Hooded Woodland Bolero Jacket with Pauldrons and pair it with other items from our woodland collection for improved magnificence.